Since the validation process attempts to “xunravel” the transformation effected by the translators, its task becomes increasingly more difficult (and necessary) with the increase of sophistication and variety of the optimizations methods employed by the translator. 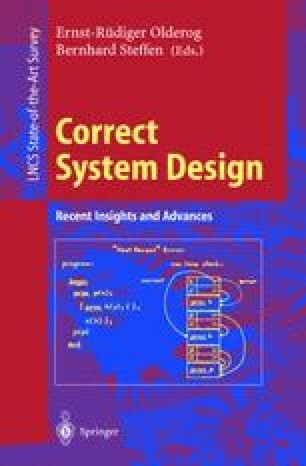 In this paper we address the practicability of translation validation for highly optimizing, industrial code generators from Signal, a widely used synchronous language, to C. We introduce new abstraction techniques as part of the automation of our approach. We wish to express our gratitude to Markus Müller-Olm who reviewed an earlier version of this article in record­time and yet managed to provide us with several significant and insightful comments which led to a meaningful improvement in the quality and validity of this paper.